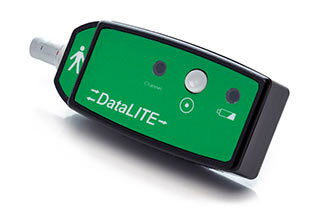 The DataLITE wireless system consists of a USB Dongle attached to a PC along with up to 16 battery operated DataLITE wireless sensors. The sensors convert input signals such as joint angle, EMG or force data to their equivalents and then transmit these in real-time to the PC. This produces a versatile and expandable design with the greatest possible accuracy, negligible drift and the greatest freedom for the test subject. The DataLITE wireless communications uses a frequency-hoping scheme to minimise the effects of interference and multi-path signal cancellation. A total of 16 frequencies are used; these are evenly spaced from 2.38 GHz to 2.492 GHz. The dongle and sensor avoid interferences from other signals by hoping to a new frequency after transmitting or receiving a data packet. An RF channel optimization test determines the best WIFI frequency to use within the test area. The RF channel test is an easy way to detect errors on all 32 frequencies available to DataLITE and determines the best 'RF channel' to use. 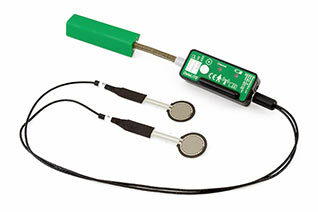 Using the exact technology as the Biometrics electrogoniometers for dynamic joint movement measurement - the new Biometrics wireless twin axis goniometers incorporate a wireless transmitter to send data directly to the computer for display, analysis, and saving or transferring to custom applications in real-time. In general, there are no fixed rules governing which size of sensor is most suitable for a particular joint; this depends on the size of the subject. The sensor must be capable of reaching across the joint so that the two end blocks can be mounted where least movement occurs between the skin and underlying skeletal structure. In certain circumstances more than one size of sensor will be appropriate. The following table is given for guidance only and refers to an adult population. Size used will vary within pediatrics. 1Life test results have been collected by cycling the sensors through movements that would happen during everyday use. For example, placing a sensor on an adult elbow and moving from the neutral position to maximum flexion and back to the neutral position, the unit will function for typically 600,000 cycles. Biometrics Z series single axis Torsiometers are designed for measurement of rotations in one plane, e.g. forearm pronation/supination or neck axial rotation. If the Torsiometer is bent in planes X-X or Y-Y the output remains constant. All Torsiometers function in the same way, the difference being physical size. Z Series Torsiometer models are Z110 and Z180. 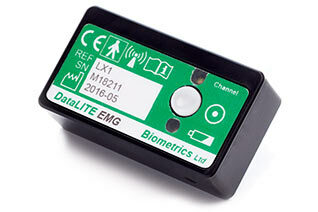 The DataLITE Wireless EMG sensor gives superb quality of signal and ease of use. 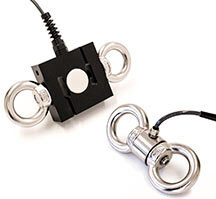 With a bandwidth of 5-495 Hz and a built in 1000 gain amplifier and wireless transmitter, surface EMG signals are collected and sent to the Biometrics software for analysis. EMG data can be synchronized real-time with other sensors as part of a complete DataLITE system. Digital inputs for gait analysis or other projects requiring collection on contact on/off data. 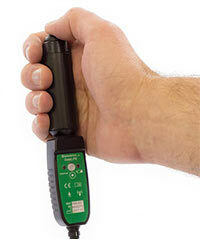 The FS2 Contact Switches simply plug into a DataLITE Wireless goniometer. For example, mounting the goniometer on the ankle, and attaching the contact switches on the foot, it allows the researcher coordinate the gait parameters (heel strike, full foot, heel off, toe off) with the dynamic movement of the ankle joint and perhaps EMG data. 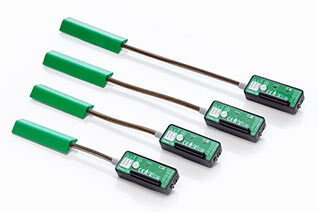 The ACL 500 is a precision 3-axis wireless accelerometer to measure both dynamic acceleration (i.e. vibration) and static acceleration (i.e. gravity). With a range of ±16G (±156.91 m/s2), the ACL 500 transmits data directly to the computer where it can be easily synchronized with angular data, EMG or other physiological measurements. High precision In-Line range of Load Cells are used for tensile applications and may be used in any attitude. S-Beam range of Load Cells are designed for compression applications and may be used in-line or end mounted. The various load/strength data collected may be synchronized real-time with other DataLITE sensors as part of a complete DataLITE system. Interfacing is effortless as all the precision calibration data is pre-programmed within the microprocessor controlled units. Additionally, once configured, DataLITE ADVANCE may be disconnected from the PC, allowing it to be used solely as an analogue output unit. This provides a very robust, novel product which may be used independent of the PC. 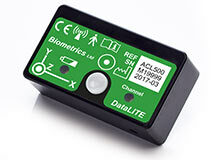 The DataLITE Hand Held Trigger Switch (IS6LED) provides the user with a very accurate solution of synchronizing the DataLITE with DataLOG or other 3rd party systems, such as a Vicon or Qualisys motion analysis camera based system. In all cases the Trigger Switch enables the timing of the systems to be synchronized to ≤3mS typically over a 1-hour recording. In addition, it may be used as an event marker input to any DataLITE system recording. 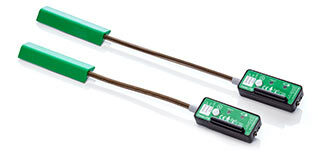 A large green LED for accurate synchronization with other visual recording systems. A top mounted large button to start and stop a recording. This button can be programmed to be used as a trigger switch during recording instead of stopping the recording. A socket mounted at the bottom of the unit which is used for wired electrical synchronization with a 3rd party system. A selection of prepackaged systems is available. Each includes the wireless dongle and charging adapter plus a variety of sensors and analysis software. Click here to download a PDF file with the details. DataLITE is a trademark of Biometrics Ltd.